From an early age, Biruté Galdikas — the scientist featured in NATURE’s FROM ORPHAN TO KING — knew she wanted to study animals and be an explorer. But she probably never dreamed that she would become famous, and even somewhat controversial, as an expert on one of the world’s most endangered primates. 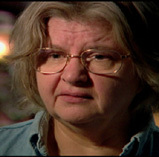 Born in Germany in 1946, Galdikas spent her childhood in Canada. Her family ultimately moved to the United States, where Galdikas studied anthropology at the University of California, Los Angeles. There, as a graduate student, she became inspired by the work of Louis Leakey, an anthropologist from Kenya who studied primates to learn more about human behavior. Leakey was already in the process of helping two other young women researchers study chimpanzee and mountain gorillas. Their names were Jane Goodall and Dian Fossey, and Galdikas was eager to join the class. She lobbied Leakey to help her establish a study of orangutans, the great red apes of Sumatra and Borneo. Galdikas’s work soon brought her worldwide attention, especially after NATIONAL GEOGRAPHIC magazine published a cover story featuring Brindamour’s photos of Camp Leakey. Over the next few decades, Camp Leakey became a world center for orangutan study. But the outpost took on more than research: it also became home to dozens of orphaned orangutans, whose mothers were shot for food or by poachers involved in the pet trade. Kusasi, the orangutan featured in FROM ORPHAN TO KING, was one of these foundlings. At the same time, Galdikas was becoming an increasingly active conservationist. Concerned by the rapid clearing of orangutan habitat, she lobbied the Indonesian government to set aside parks and curb illegal logging and orangutan trading — with some success. But her efforts came at a cost; she was threatened, harassed, and even kidnapped by those who opposed her work. To promote the orangutan’s plight, Galdikas founded Orangutan Foundation International in 1986, which funds research and sponsors tours. Today, Galdikas spends about six months a year in Indonesia (she is married to an Indonesian native and has taken Indonesian citizenship), and six months a year in the United States, where she works as an academic and raises funds for her work in Southeast Asia. Camp Leakey is fairly quiet, although it routinely hosts visitors (including tours led by Galdikas) and a few resident researchers. In 1999, Galdikas opened another rehabilitation center in the village of Pasir Panjang, which is close to Camp Leakey. There she has worked to employ local residents in projects that create incentives to protect orangutan habitat. Still, she is very worried about the orangutan’s future. Huge fires that swept through Indonesia in the late 1990s killed hundreds of apes, and destroyed food sources and habitat for thousands more. Since then, some populations have plummeted. She says there may be more orangutans than researchers once thought — perhaps 30,000 instead of just 20,000. “But the deforestation rates are actually greater than we suspected, too,” she says. “You can just see the forests being destroyed — where there were trees 5 years ago, there is now a palm oil plantation.” Unless such destruction is stopped, she says, orangutans will slip into extinction. Galdikas is committed to preventing that from happening. A dream that began decades ago as a child in Canada has come true — and now she wants to make sure it doesn’t go away.